A series of unique VR experiences in rugby and music brings fans closer to the action than ever before. Compatible with multiple VR platforms including Samsung Gear VR Oculus Rift and HTC Vive, fans will be transported into worlds of unforgettable live experiences. 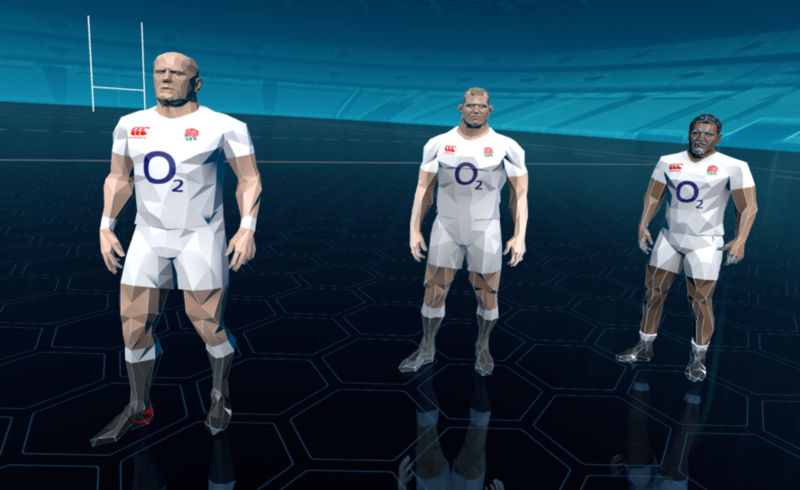 Now we can train with the England rugby team thanks to O2’s newly-launched virtual reality (VR) series which is being offered to customers in 90 of their stores nationwide and at Twickenham Stadium on international match days, O2 being a major England Rugby sponsor. Later this year we’ll also be able to download this VR experience, which O2 are calling a combination of 360-degree video and interactive CGI characters. Xsens motion capture, using weight, mass and average speed, makes in game players’ movements realistic, gamers tracking players’ movement and joining virtual drills developed with the England team. If it’s music not rugby that appeals, you can also experience live performance as a fan or band member, with the O2 Academy’s first behind the scenes experience, taking you from tour bus to dressing room and out onto the stage. O2 clearly believe that giving people live experiences through their stores’ VR technology will keep customers rocking or rucking.